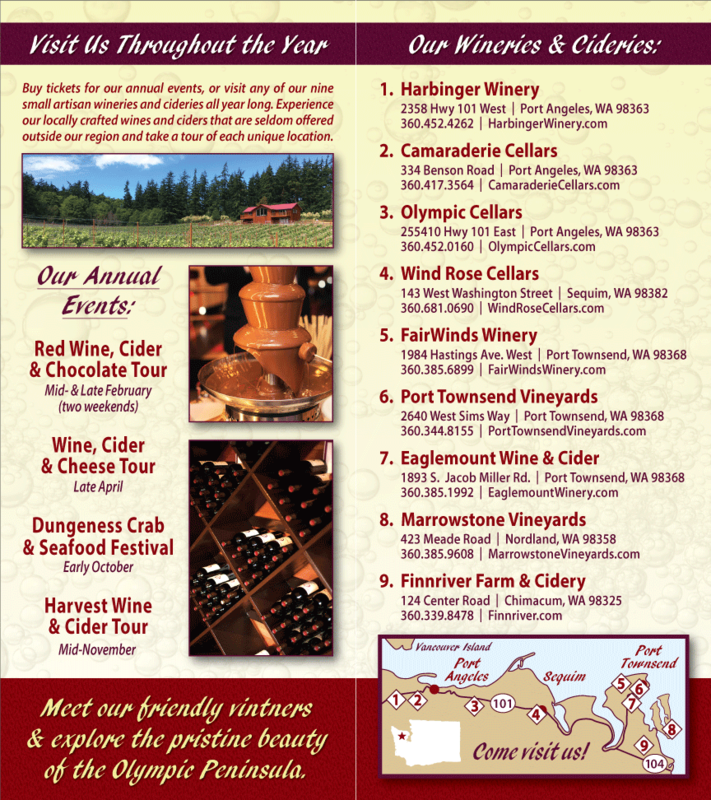 2019 Wine, Cider and Cheese Tour! Let your temptations run wild with our unmatched extraordinary blends of Washington grapes, apples and pears – paired with locally sourced cheeses. Each of our nine wineries and cideries has something special in store, just for you! This tour is one you don’t want to miss! Tickets for this self guided tour are available on-line for $40 or $45 at the wineries or cideries and are non-refundable. These tickets include a souvenir wine glass, wine and cider tastings at each location as well as specially considered artisan cheese pairings. Visitors who get their ticket stamped at all nine tasting rooms will be entered into a drawing for a love inspired gift basket.